Author: Shute, Nevil Set In . . . 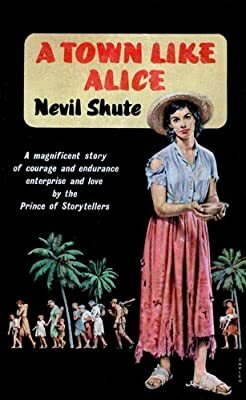 Description: Nevil Shute’s most beloved novel, a tale of love and war, follows its enterprising heroine from the Malayan jungle during World War II to the rugged Australian outback. Jean Paget, a young Englishwoman living in Malaya, is captured by the invading Japanese and forced on a brutal seven-month death march with dozens of other women and children. A few years after the war, Jean is back in England, the nightmare behind her. However, an unexpected inheritance inspires her to return to Malaya to give something back to the villagers who saved her life. Jean travels leads her to a desolate Australian outpost called Willstown, where she finds a challenge that will draw on all the resourcefulness and spirit that carried her through her war-time ordeals.